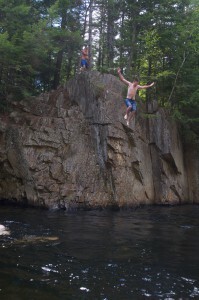 For over 211 years Bridgton Academy has been unmatched in preparing young men for the rigors of college and beyond. In doing so, we have learned that for boys, learning styles are varied and their entire world is a classroom. The young men who participate in the Wolverine program are fully immersed in the Academy’s core beliefs: curiosity, community, sportsmanship, and accountability. It’s a unique program where the outdoors is a classroom and our New England history and culture provide places for discovery. Young men participating in this program build camaraderie through a variety of excursions and challenges, while service to our community becomes another means of developing meaningful relationships. The Wolverine program is an opportunity for our students to see another side of themselves, coupling independence with mentorship, merging the outdoors with education, and building a bridge between high school and college—and the rest of their lives. Want to learn more? Complete the inquiry form, and a member of our admissions staff will be in touch. Ready to apply? Fill out your application to get the ball rolling.